The SKB-6 is part of the Economy line of cases with an EPS plush lined interior that provide an exceptional value for the price. 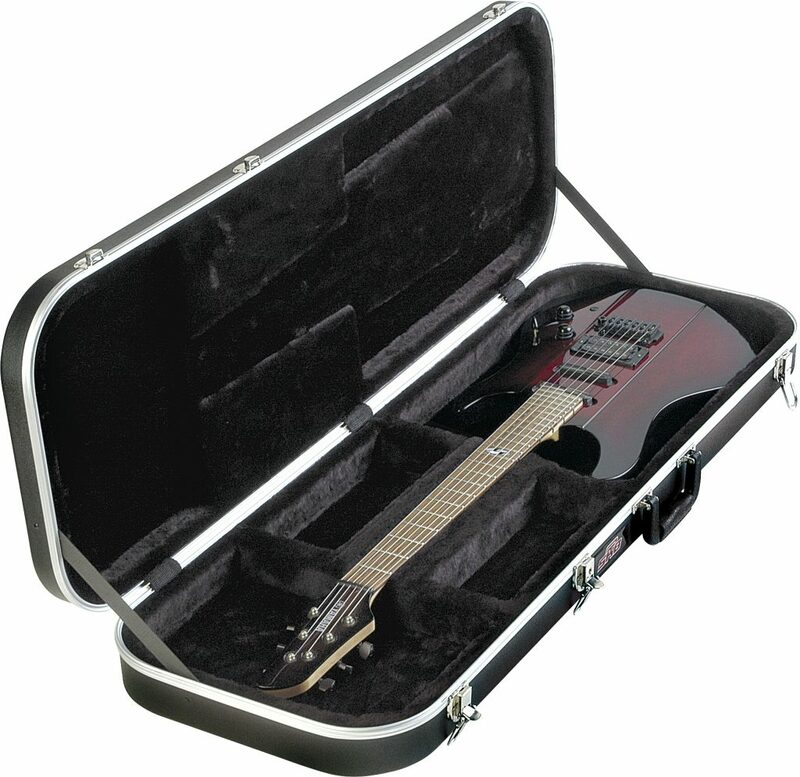 The SKB-6 is designed to hold a variety of electric guitars. SKB Hard Case Products are fully warranted against defects in materials and craftsmanship for the life of the case to the original owner. That means, if your case breaks, SKB will repair or replace it at no cost to you for as long as you own the case. Most locks, handles and wheels have been made field replaceable and will be supplied to you at no charge. To request parts or a return authorization for damaged Music Cases, please contact the SKB customer service department. SKB Hard Cases are warranted for life to the original owner. Cases for rental purposes, modified or re-sold cases are not covered by this warranty. zZounds is an authorized dealer of SKB products. *Dimensions are for reference only. Product specifications are subject to change without notice. "Expected Much Better From SKB"